Day Camp Programs: A different group from different places and states each week. Day Camps are from 10:00am to 12:00pm Monday through Friday. If you want to sign up for a Day Camp please contact Intracoastal Outreach at 843-626-3171, Waccamaw Baptist Association, or Sarah or Richard Jenkins at 843-712-2377. 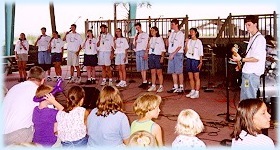 Other opportunities: Guitarists, solos, group singing, testimonies, greeters.